The Low Calorie Zig Zag Diet for Weight Loss: Does it work? 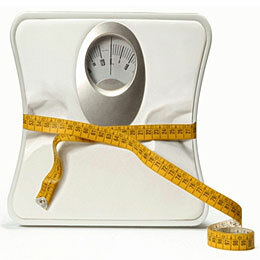 It is pretty common knowledge that if you want to lose weight, you will need to consume less calories than you burn. This is easier said than done. Many of us have social lives that revolve around food such as birthday parties, work events, family reunions, and holidays. This is where the caloric Zig Zag approach comes in handy. 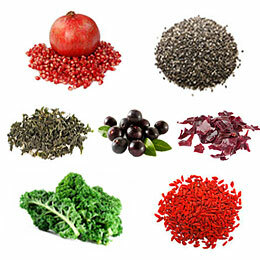 The calorie Zig Zag diet approach is a relatively simple alternative to your traditional calorie restricted diet. With a traditional calorie restricted diet, an individual sets their daily calorie limit at say for example 1500 calories. For the duration of the diet, the individual aims to consume no more than 1500 calories daily. This can make for eating at a social gathering a difficult task. However, by implementing the caloric Zig Zag approach an individual can adequately prepare for social events. Looking at the 1500 daily calorie goal from a weekly perspective, the total calorie amount equates to 10,500 calories weekly. 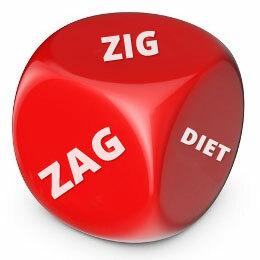 With the calorie Zig Zag approach an individual has the freedom to divide those calories amongst the week as they wish. For example, if an individual tends to eat less during the work week but more on the weekends, they can tailor their calories to fit their lifestyle by eating 1400 calories on the weekdays and 1750 calories on the weekends. How the calories are split up during the week is completely up to the individual. In both scenarios whether the individual eats 1500 calories daily or decides to use the calorie Zig Zag approach, he or she would have consumed the exact amount of calories over the course of the week and in the long term, would have an equal amount of weight loss. 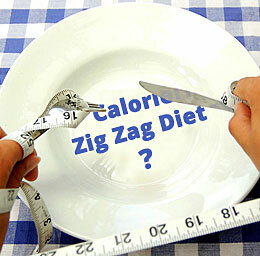 Why the Caloric Zig Zag Diet? As mentioned above, it is a great way to adhere to a calorie goal if you have upcoming social events, or tend to eat more on the weekends. It can also provide a psychological break from dieting. Not everyone is programmed to go a week or weeks straight eating fewer calories than they need. However with the Zig Zag diet, you could have a higher calorie day every few days if needed using a two-one-three-one approach. The two-one-three-one approach refers to having two lower calorie days followed by one higher calorie day subsequently followed by three lower calorie days and one higher calorie day. Using the 1500 daily calorie intake and 10,500 weekly calorie intake goals for example again, an individual could eat 1300 calories for two days followed by a 2000 calorie day then back to three 1300 calorie days and finish the week with another 2000 calorie day. At the end of the week no matter how you decide to divide up your calories, your weekly calorie intake is the same which means you are still right on track for your weight loss goals. Although the two-one-three-one approach tends to be my personal favorite, it is completely up to the individual how they divide up their weekly calories. In my experience, it is not uncommon for individuals to prefer following a five-two approach (five lower calorie days followed by two higher calorie days) which is set up perfectly for the weekends or even a six-one approach (six lower days followed by one higher day). Although the calorie Zig Zag diet approach seems flawless, there are three major drawbacks to setting up your meal plan this way. If an individual zigzags their calories, they may experience bloat after a higher calorie day, the potential risk of overconsumption on higher calorie days or extreme hunger on lower calorie days. However, with a properly set up caloric Zig Zag approach you can avoid these fiascos. Consistently consuming a daily amount of calories also keeps several variables related to body weight consistent as well. After a higher calorie day, chances are, along with consuming more food than you would have normally consumed, you consumed more carbohydrates and salt; thus, leading to more water retention, and more food leftover in the G.I. Tract. However, this spike in water retention and food retention in the G.I. Tract is only temporary and your weight should normalize after a few days. Keep in mind the more calories you consume on your higher calorie days, the more bloat you’ll experience. Therefore, to keep bloat to a minimum, try to avoid having a drastic fluctuation between your lower and higher calorie days. When it becomes time to over-indulge a bit on a higher calorie day, some individuals may have the urge to consume more calories than planned. Although the higher calorie day is planned, it should not be used as an excuse for a free-for-all food frenzy. Pre-planning your meals, remembering your nutrition goals, and avoiding extreme hunger on your lower calorie days can help you avoid this type of over-eating fiasco. In order to have higher calorie days throughout the week, there must be some lower calorie intake days. However, as we all know, eating fewer calories than you need could induce hunger and in extreme cases mood swings, and binging. Therefore, try to plan your lower calorie days on days you are busy to keep your mind off of food, and avoid cutting calories too drastically on your lower calorie days to prevent extreme hunger. However you choose to distribute your calories throughout the week, the bottom line for weight loss is the total amount of calories consumed during that time. So if you decide to stick to a daily calorie goal or weekly calorie goal, being consistent with that goal is what is ultimately decides your success.